Eagle River is a peaceful, scenic river located in Vail, Colorado which offers world class fishing and is another great reason to visit Vail during the summer months. Eagle River, in Vail, Colorado, is a scenic river which unlike most of its U.S. counterparts is not controlled by a dam and has distinct seasons. The area is perfect for recreation and the excellent water conditions lend themselves to world class white-water rafting and fishing. See stunning canyon views in this scenic area. Eagle River is located in Vail, Colorado and offers a beautiful environment to enjoy world class fishing. The river differs from its counterparts in the U.S. as it is not controlled by a dam system. This allows for the river to go through normal seasonal changes including high waters as the snow melts at the beginning of June. The river is also fantastic for whitewater rafting and has some breath-taking views through its canyons. The Eagle River flows through the towns of Minturn, Avon, Eagle, Gypsum, and Vail. It is easily accessible by a number of fishing access roads and trails. 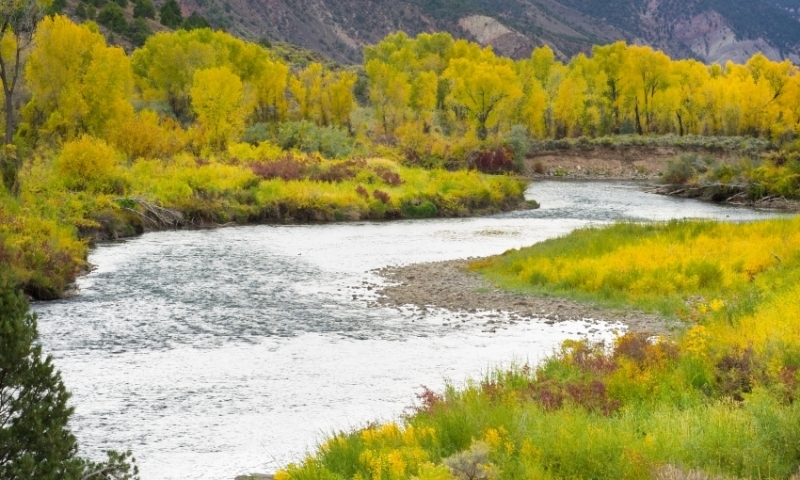 The River goes through distinct seasons but almost always provides great fishing and rafting. The tide is at its highest in June and has usually settled by mid summer. Discover Eagle River near Vail, Colorado, for some excellent fly-fishing that gives an angler the opportunity to hook some large trout and experience the Rockies in all their glory. Fishing on the Eagle has proven to be an ideal location to catch record trout. Type of waterway: The river is 30 yards across at the widest points, with slippery moss-covered rocks and boulders, and with slow, deep pools and long riffles. Wading ease mostly depends on the water level, but can be tricky. It’s worth it, however, due to the fly and spin fishing on the Eagle. You can float in the early season when the waters run higher. Fishing seasons: The best time to fish the Eagle River is early summer. At this time the water runs high and fish are more willing. Around the middle of July the water levels drop, and the fish are harder to convince to bite. In the fall fishing is productive, and depending on the ice conditions, this productivity can last through the winter. 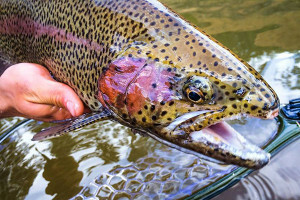 Most common fish species: In the Eagle River you’ll hook cutthroats, rainbows, browns and brookies, but the browns and rainbows are predominate. The sizes average between 12 and 18 inches. Directions for accessing popular sections to fish: Although the upper reaches of the river are inaccessible, you’ll discover plenty of great fishing from Gypsum to Edwards and from Wolcott to Minturn, the latter best when Milk Creek dumps mud into the Eagle on warm days. When fishing from Avon, Edwards, Eagle or Gypsum, you can get to the waters along Highway 6 as it parallels the river. Choose the place that best suits you and depending on how far out of town you want to be. The main river forming the valley between Aspen and Glenwood Springs, Colorado. Small River flowing from the Crested Butte area. The Gunnison River flows through Black Canyon National Park.